Expo Condos 3 is a new condominium development currently in pre-construction at York Regional Road 7 and Creditstone Road in Vaughan, Ontario by the Cortel Group. It is a proposed 39 storey tower in EXPO City's master-planned development and is "Vaughan's most anticipated community". Expo City by the Cortel Group is designed as a "sustainable, pedestrian friendly urban centre, featuring luxury residences, a retail avenue, and over 14 acres of naturalized space on the Black Creek, including a sprawling central park filled with recreational trails, ponds, and protected wildlife areas". The first phase Expo Condos is now complete and the second phase Expo Condos 2 is currently under construction. 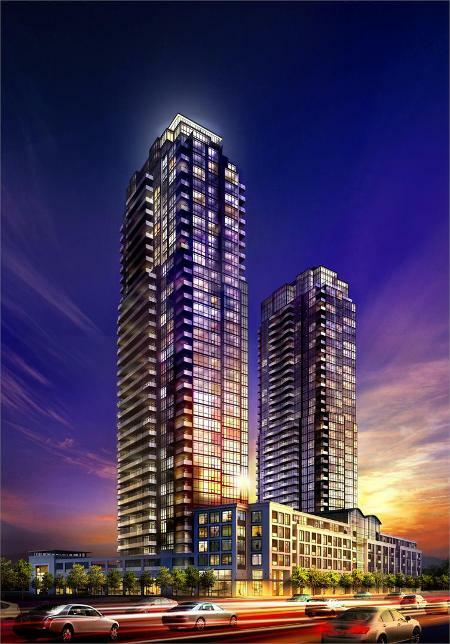 The third phase Expo Condos 3 is coming soon located just north of Tower 1. Expo City is comprised of five total residential towers of 37 to 39 storeys in height that will share some similar elements but will each be uniquely different with four of the towers surrounding a future proposed public square and the fifth tower situated just south of a future proposed park. The driving force behind the change coming to Vaughan is the extension of the TTC subway line up to Highway 7 which will add six new stops that will end at the Vaughan Metropolitan Centre and is the first time in history that the subway will extend outside of Toronto. 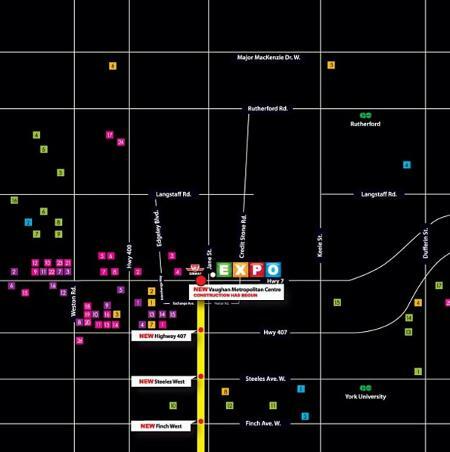 This will give Vaughan residents easy access to downtown Toronto. 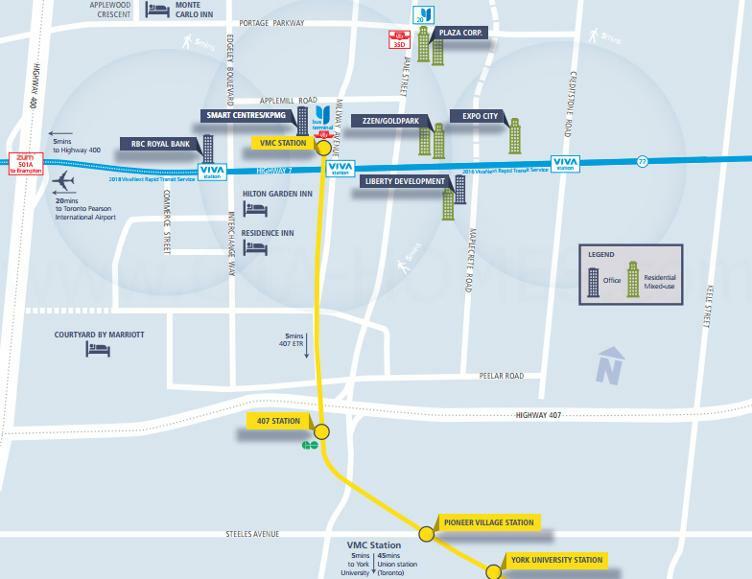 The terminal station at the Vaughan Metropolitan Centre will be located at Millway Avenue and Highway 7 and will connect with the York Region Transit Bus Terminal and the VIVA Rapid Transit bus route which will run along Highway 7. The Vaughan Metropolitan Centre has approximately 179 hectares of development opportunities that will include retail, residential and office use space. This will be Vaughan's vision of a new downtown. 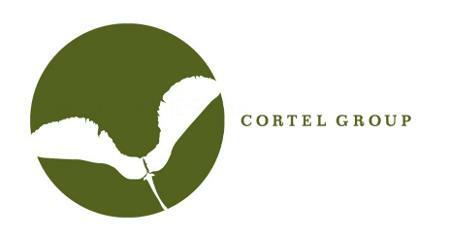 Expo City will be part of this new downtown with the Cortel Group's five residential towers rising up on Highway 7 between Maplecrete Road and Creditstone Road. "As a community that prioritizes its residents, the EXPO City master plan includes an urban square, retail galleria, a pedestrian and bike-friendly grand boulevard and a short walk to the TTC’s Vaughan Centre subway stop on the Spadina Line extension, now under construction. Taking Canadian weather into account, covered walkways and an underground retail arcade will connect EXPO City residents to their everyday needs. Promoting an active lifestyle year round, EXPO City also features an impressive 20,000 sq. ft. amenity space that includes a fitness center equipped with a yoga studio and an indoor pool that opens to a roof top garden." Expo Condos 3 by the Cortel Group is where you can live, work and play. Located to accessible public transportation and situated in new "urban village that has everything you need: luxury condos, great shopping, restaurants and cafes, office towers, acres of green space, bike paths, recreation and more". 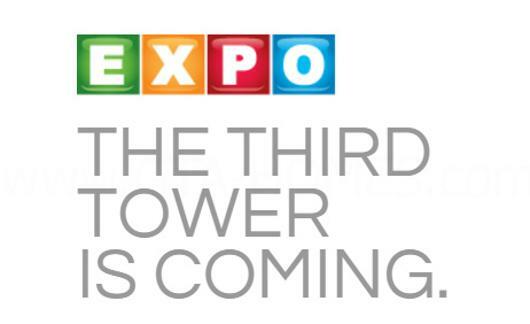 Register with us today for more information on Expo City Tower 3 by the Cortel Group! 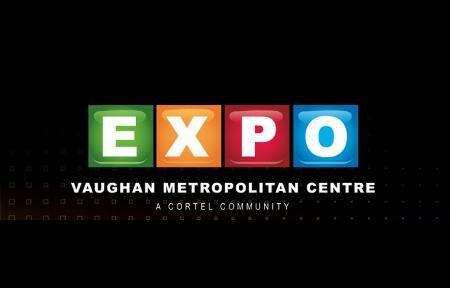 For more information, please register today for the Expo Condos 3.